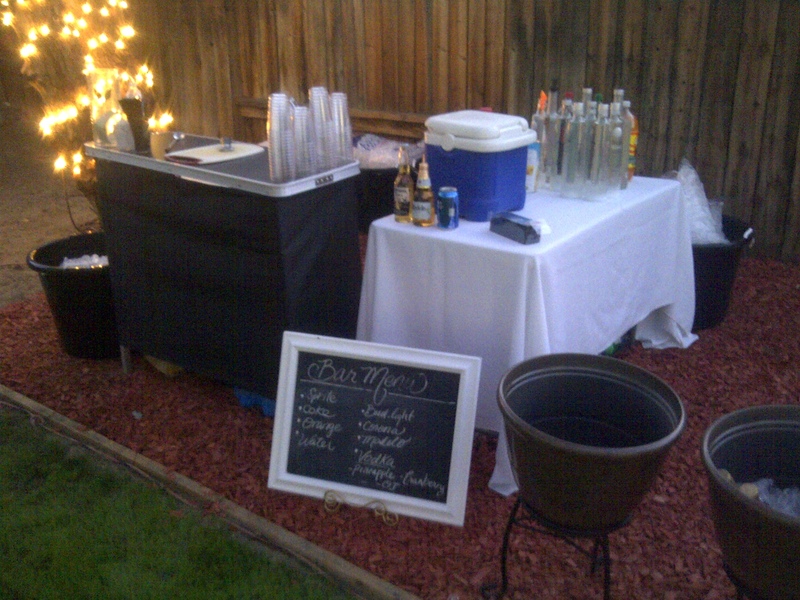 Last night I was the party bartender at a Palmdale backyard engagement party. 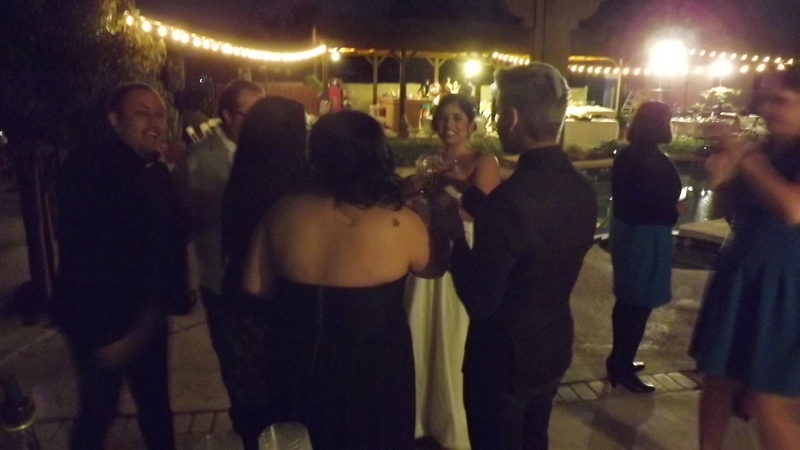 I have worked many backyard engagement parties, weddings, Christenings, and birthday parties that were very nice. 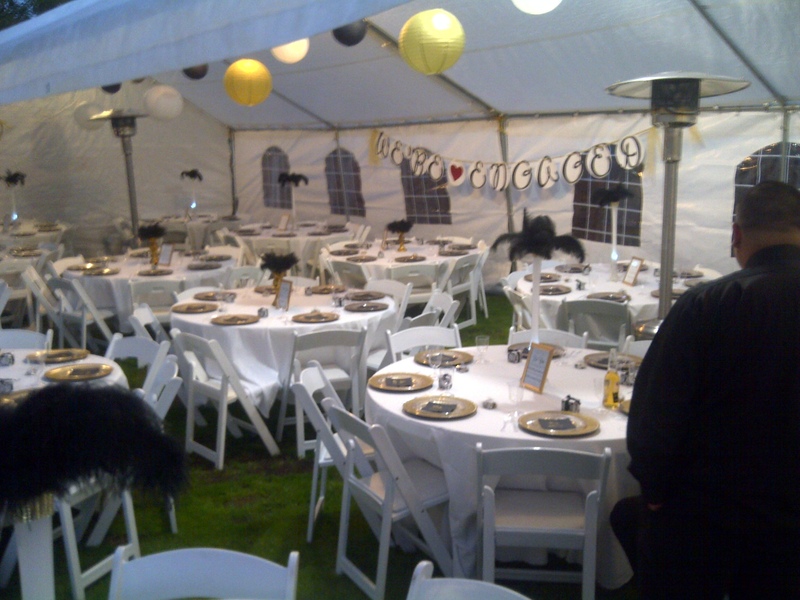 The party rental companies come out and set up a tent and all of the tables. 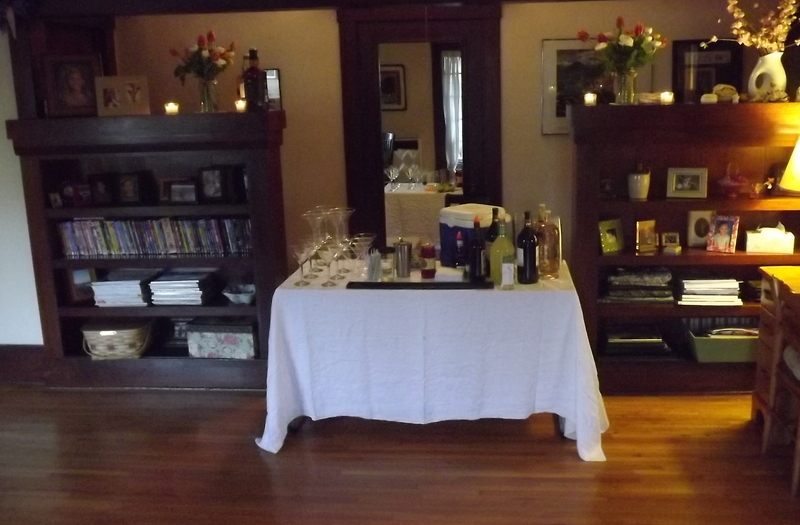 For last night’s party I used my portable bar and set up in one corner of the yard next to the photo booth. The DJ sets up in another area, and the caterer in another. I forgot to bring my camera and had to take pictures with my phone that didn’t come out so good, but you get the idea what it looks like. As a party bartender, I tend to always be loaded for bear – meaning that I prepare for the busiest possible circumstances. The engagement party last night had 125 guests in attendance, and I was bartending by myself, so I had to make sure I had everything I needed at my disposal. 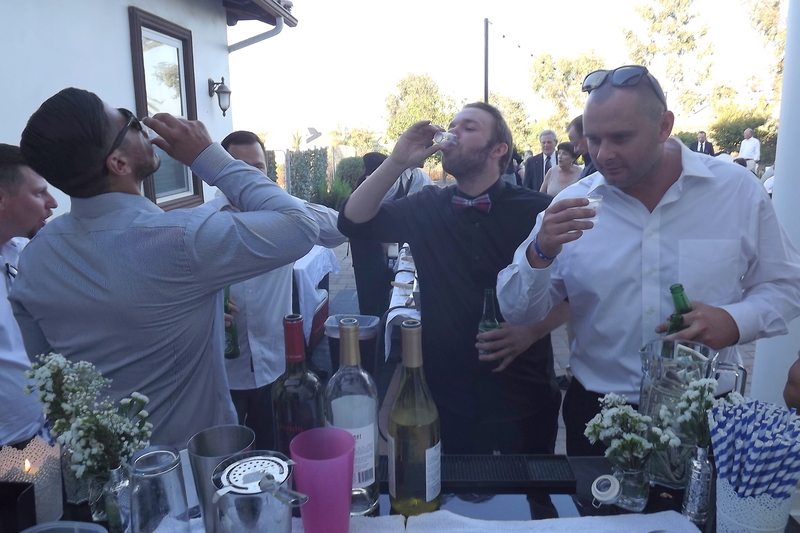 Unlike many other parties I have bartended recently, the guests at this event were drinkers and I served out of all of the alcohol and most of the beer by the time I finished at eleven. To give you an idea, that was three 1.75 bottles of vodka, five 750ml bottles of Ciroc vodka, eight cases of beer, and seven bottles of wine. So, I by myself served hundred of drinks. I had a steady flow of customers coming to the bar for five hours straight. I am not complaining, I like it that way. I enjoy bartending, and going to new places every weekend, and meeting a whole new group of people. 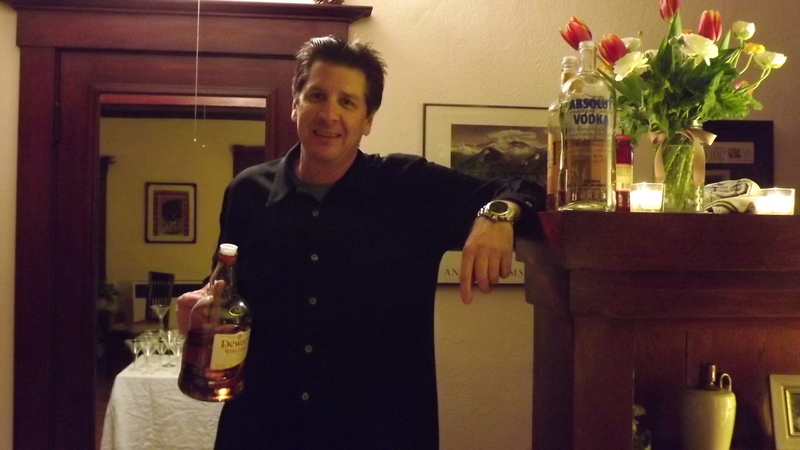 One of my customers said it – “Everybody loves a party bartender.” It’s true, I have had mostly positive experiences on every job I have done. Valley area. I don’t mid driving out there, but the road at night can be a little dicey. For some reason, and this doesn’t happen often in California, but people like to drive the speed limit in the fast lane on Highway 14. It creates a dangerous situation as cars driving faster try to get around the slow moving cars. Last night I passed on the right hand side four members of the Mongol’s Motorcycle “club” driving in the fast lane. That was a little unnerving. I had many calls to do Halloween parties next weekend, but I had to turn them down, because I am bartending a wedding in the Inland Empire. 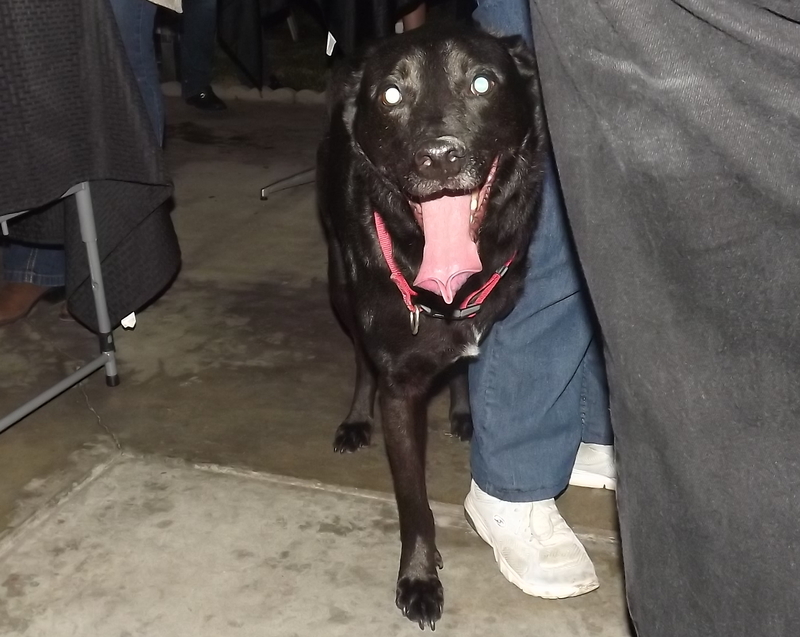 I am still available on Friday, October 31 for a Halloween party and will probably get one. Next month I have several birthday parties booked and a corporate event. I was thinking that November might be the lull before the Holiday season. The fact is that Los Angeles and Southern California is home to millions of people, and thousands of them are going to be hiring bartenders on any given month. 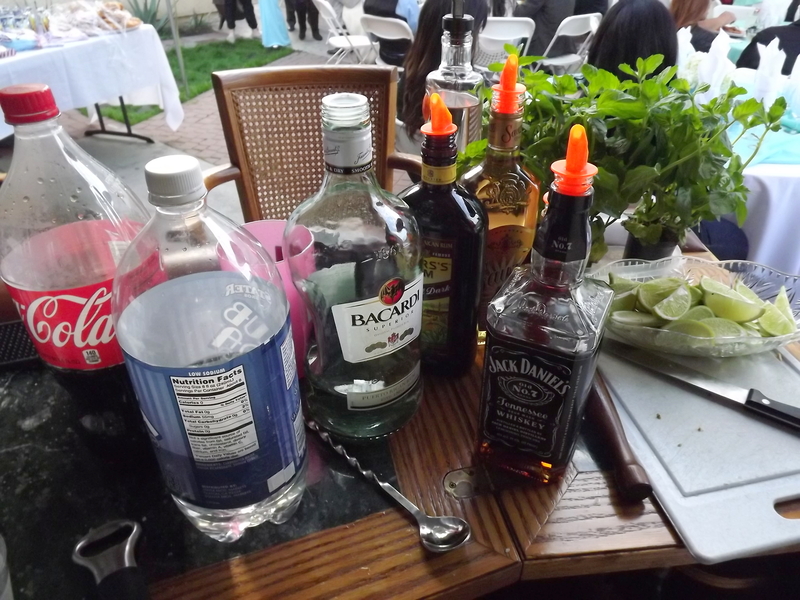 Last night I bartended a backyard wedding at a home in Mira Loma in the Inland Empire. I do all kinds of weddings from very fancy affairs to small backyard weddings. This one had about 75 people in attendance and was very nice. They had a a DJ, a live band, a caricature artist, and me, the bartender. I think the family put the food together, which was very good. 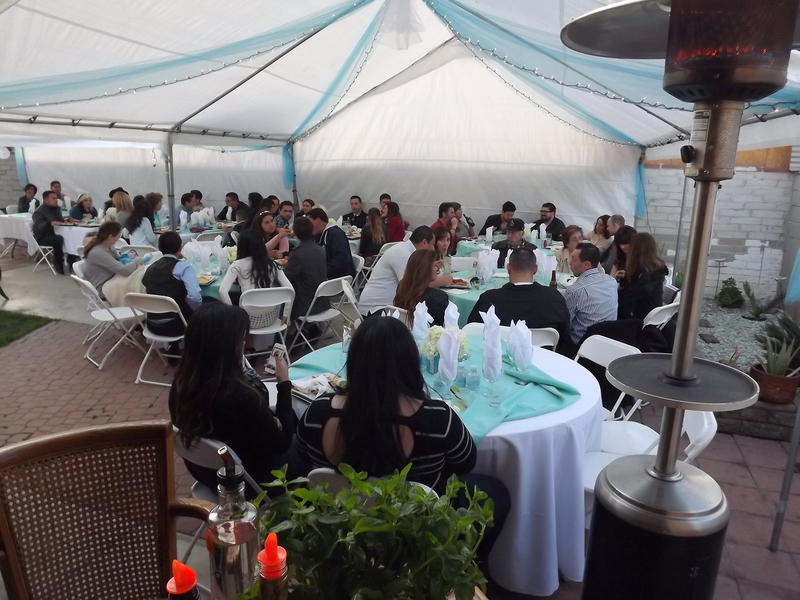 The large backyard was perfect for hosting a wedding of this size. The important thing is that the people in attendance seemed to have a great time. It is already getting hotter, so I want to remind everybody to get plenty of ice for their parties, because it melts fast. I think we had seven twenty pound bags for this party and we used every bit of it. I had tubs of Modelo, Tecate, Corona, Bud Light, and Coors. 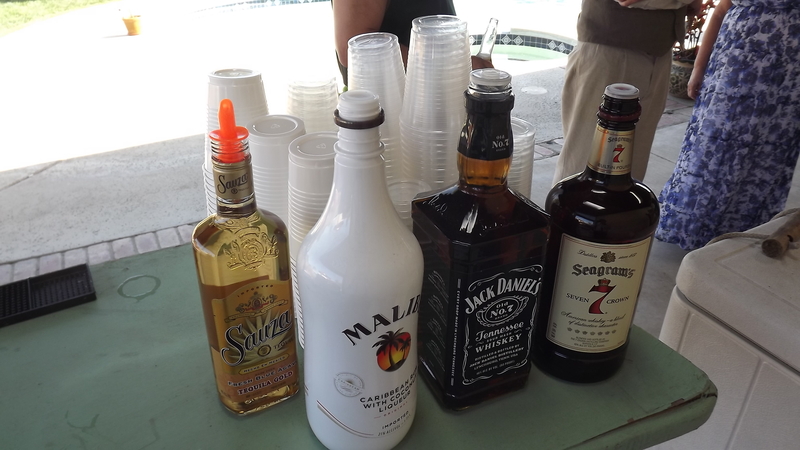 I served Tequila, Malibu, Jack Daniels, and Seagram’s Seven. I had made a shopping list for the host and I think we used up most of the booze. 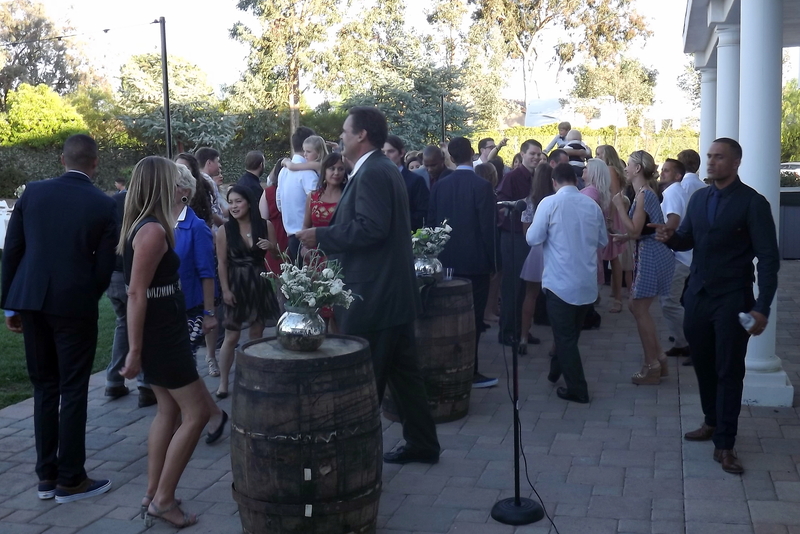 One of the guests brought two kegs and people were pouring that beer for themselves. When he left the keg was still three quarters full. A lot of people were drinking bottled beer, so that was part of it. I usually tell people not to get keg beer for this reason – most of it goes to waste, and it is very problematic. Kegs are hard to keep cold and difficult to pour. This beer was donated, so free beer is good beer. 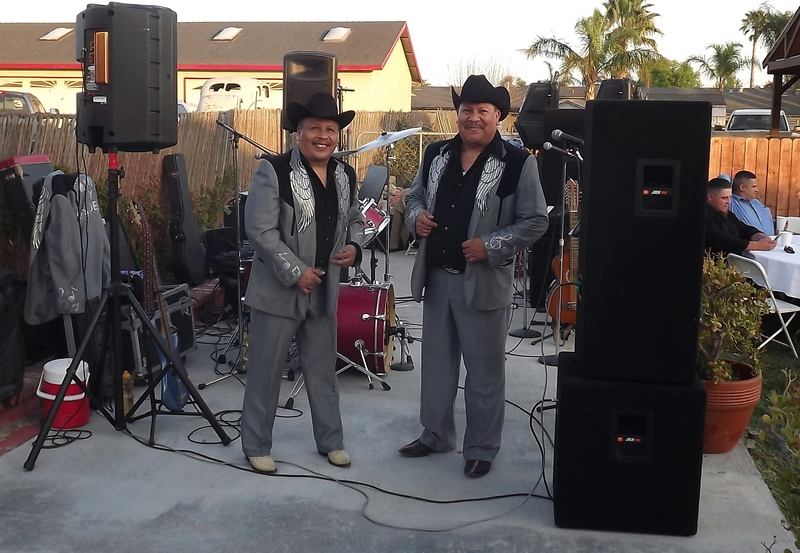 This was a traditional Mexican wedding, and they had a live band, Conjunto Norteno (714) 979-9369, which played all of the traditional favorites. 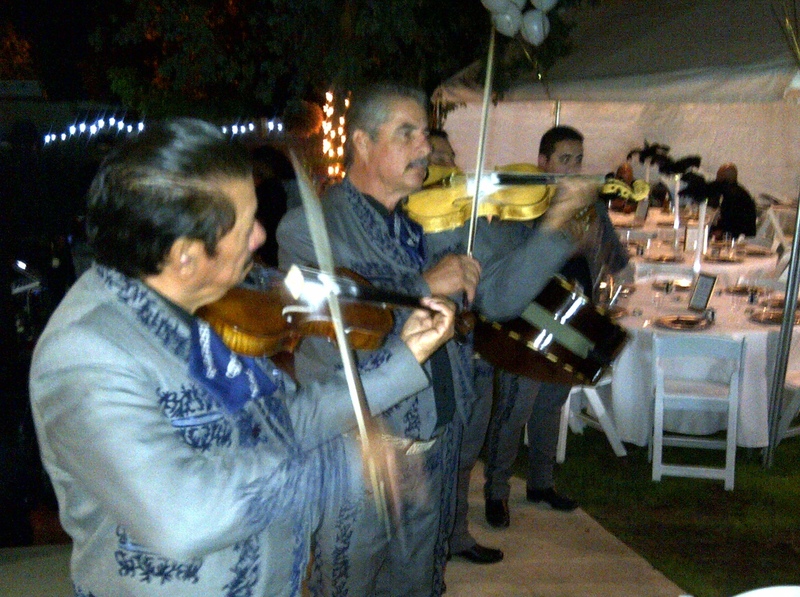 I do many Mexican weddings and am right at home there. I speak some Spanish, and even though I am a gringo, I love the music and the culture, so don’t be afraid of hiring me. 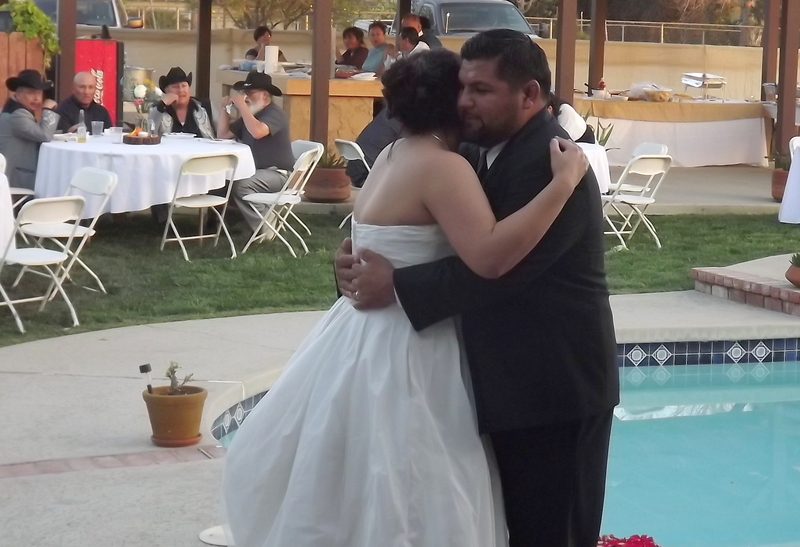 Many of the Mexican weddings remind me of country weddings I attended when I was younger in Wyoming. 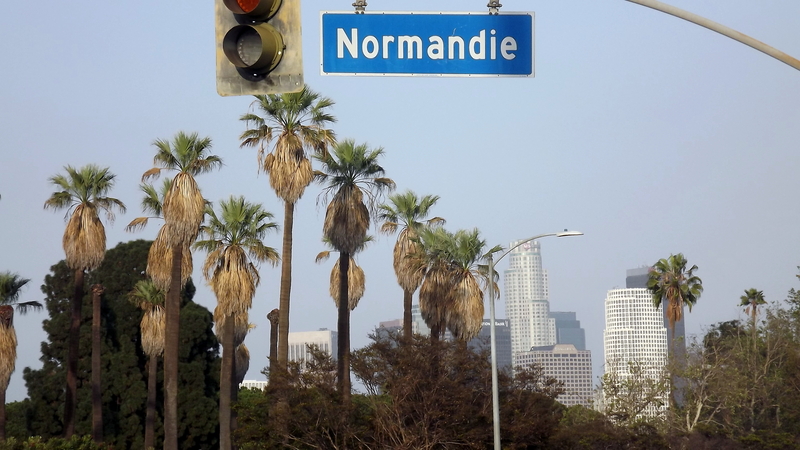 Next weekend I am doing a birthday party in the city of Los Angeles. I get to stay close to home for a change. I have several dates already filled in April and May. I am looking forward to doing many weddings this summer and hope to pick up some graduation parties and reunions, and of course, pool parties. I would like to fill some Sunday dates in. The occasion was the celebration of a baptism. The guest of honor was one year old and attended her party along with approximately 100 other guests. 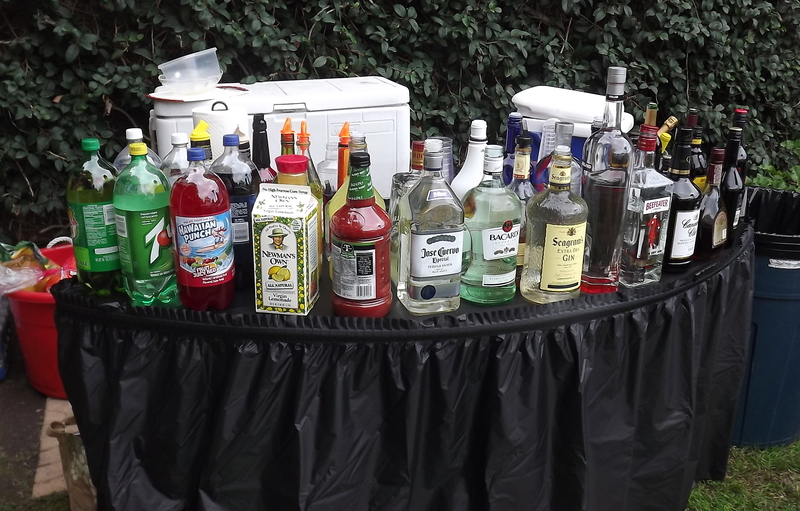 I bartended, and it was my first baptism party. It appeared to me that the party was a great success, and we ran out of liquor – two times! The hostess hired me and we made a shopping list together. I had made a list for 60 people, but I guess 100 ended up showing, so we were a little short of supplies. I have lists already made up for various numbers of people, with the prices, so If you need help with a shopping list, just ask me. We can adjust it for what you want to serve and your budget. In the past, people have wanted to do Mojitos, and I have discouraged them, because Mojitos are a labor intensive drinks that are troublesome when serving large groups of people. I have a new policy at Shaken Not Stirred – just say yes! Mojitos are made with rum, fresh mint leaves, fresh limes, simple syrup, and club soda. I decided to make large batches in a blender and that worked fine. I served all of the Mojitos within the first two hours of the party. For the rest of the party, I made Margaritas, Jack and Cokes, Tequilla Sunrises, and Bay Breezes. Someone went to fetch more liquor and beer around 8pm, and by 10 pm we were down to beer and champagne. I hope to do more baptism parties. 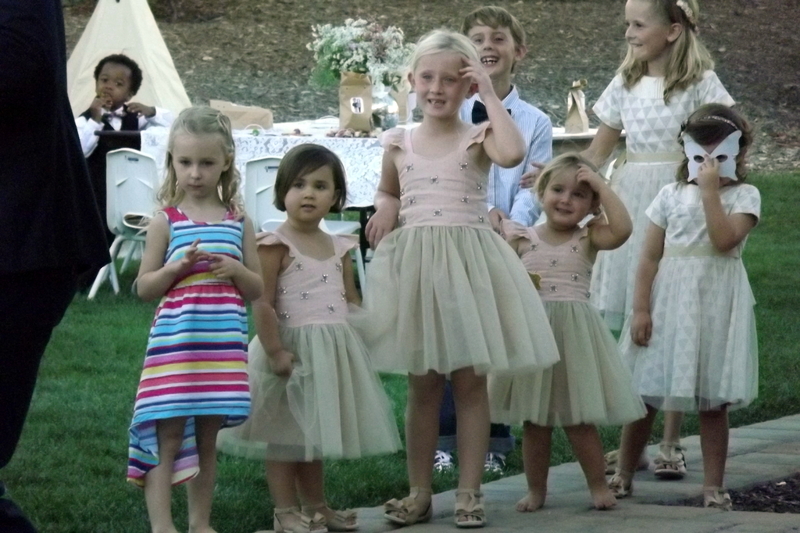 I have a wedding coming up in Mira Loma next month, and another birthday party in Ontario. 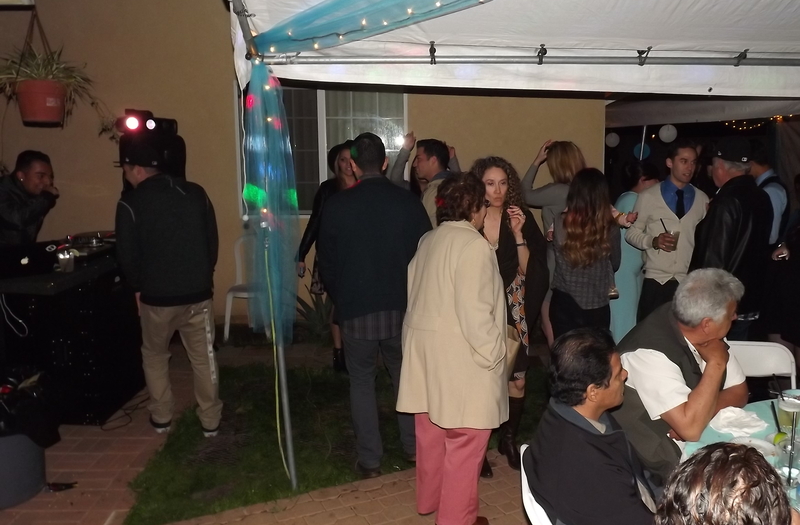 I seem to be doing many parties in the San Gabriel Valley and Inland Empire. 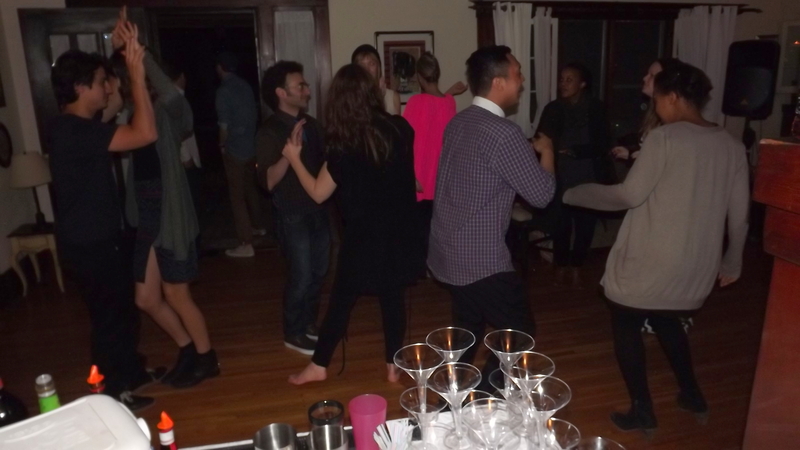 Book your parties and events today, because the spring schedule is filing up fast.